A brand new part of our show string the Endurance son out of my Champion foundation female Royal Velvet is very, very special. Bentley is sleek and will be a strong component of our 2009 show string. 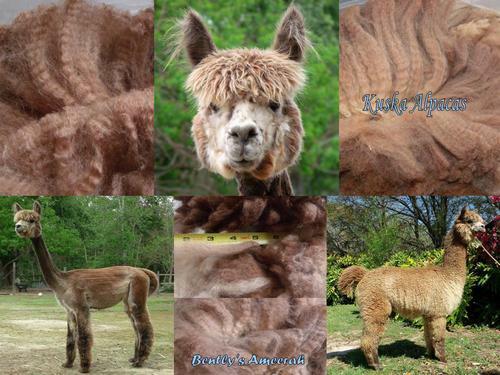 Alpacas develop at different rates and Bentley has started coming into his own with perfect conformation and a very shiny silky fiber that gets denser by the month. I can assure you that Bentley's genetics and phenotype will enhance your females potential. 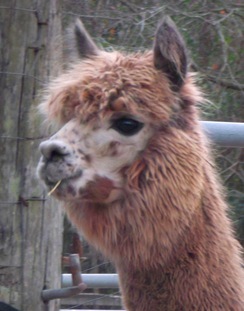 Sparrow is an award winning daughter of NGG Lional (colored Peruvian Bueno son). As if having NGG lional as her sire isn't enough, Sparrow's dam is a daughter of Jolimont 2 Peruvian Alpamayo. 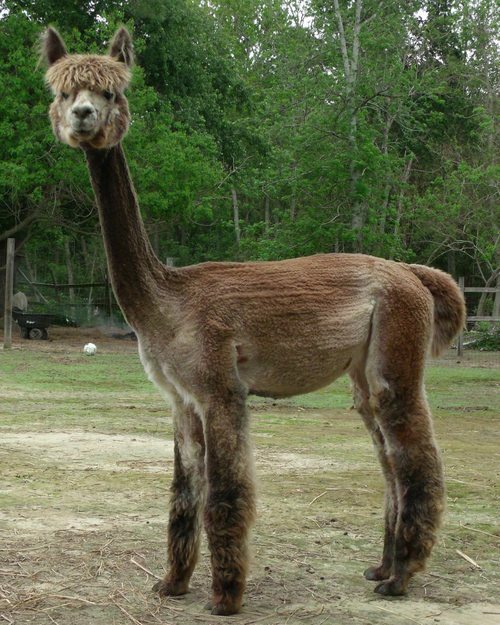 Alpamayo has had an incredible impact on the Canadian national herd. 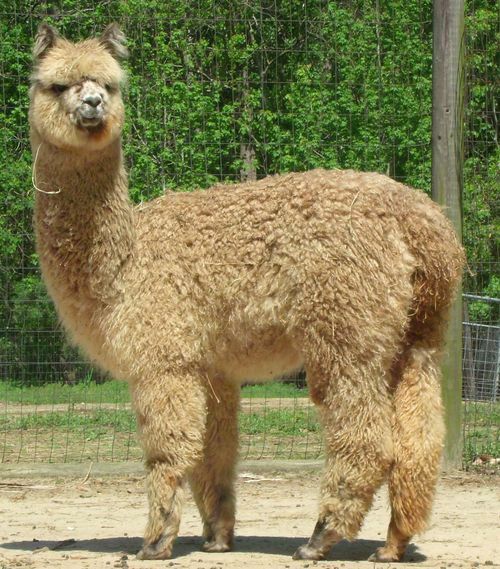 He was originally acquired from Sollocata, a Peruvian herd well know for their consistency in crimp, fineness and density. 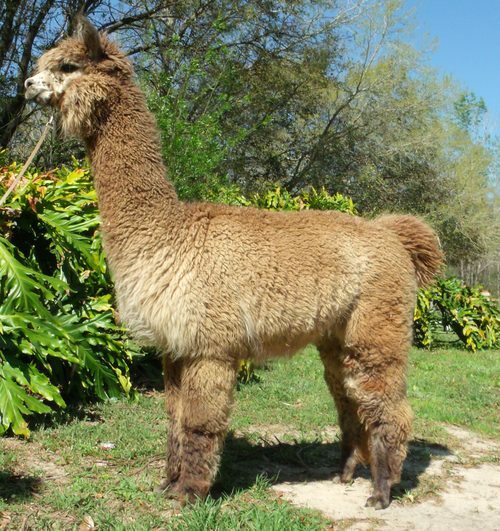 Sparrow has excellent conformation and carries a very dense dark beige colored fleece. As there are no beige classes in Canada, she always competed in white classes. Sparrow gave birth to a superior male by our herdsire Khanjar on June 20, 2013. Top of the line foundation female. Ameerah is a medium Rose Grey Harlequin Appaloosa. When we saw her coloring and her pedigree the 2 were just too much to pass her up. She sports and incredibly super crimpy 6"+ staple to her ultra fine fleece. Her conformation is spot on and it is no surprise when you look at her background. DAUGHTER OF 8X WINNING MALE MARY'S ACCOYO BENTLY!! Her pedigree is just what we were looking for to add to our already heavily Accoyo lined herd. Her Grandsire, Camillio's Accoyo Endurance won his first Get of Sire with only 5 cria on the ground. His son sold, as a juvenile for $277,000 in 2007. 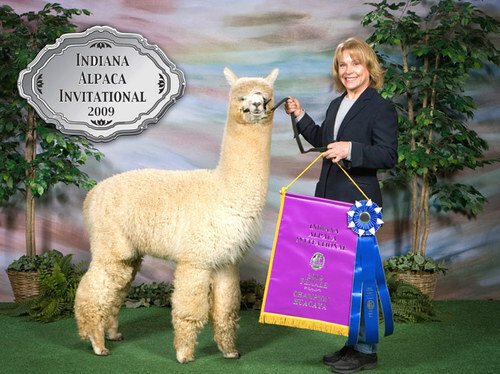 The list of award winning relatives on Ameerah could fill the page, From both sides of her pedigree you see multiple national winning male and female cria. Make that 3 Harlequin Girls in a row!!! see Kuska Mepos. Then she does it again with a fantastic Harlequin Male in 2018! Bred to Kuska Peruvian Domino for 2019!